Eldorado Axess BRT CNG (2015-16): #15500 - #15512, #15514 - #15520 have arrived at Pace acceptance around 12/26/15 and have been put into South's fleet rotation. These first 20 are the test/pilot buses. This is what I have for the current Pace roster. Where are those old Academy buses if they are unassigned...South Holland ??? Any reason they are not assigned ? What you listed as Naperville/Lisle is First Student-Naperville. Lisle is served by First Student-Westmont. I wasn't so sure about 2660-2663 being out of NS, but as I have previously said, I can't prove a negative. Someone had previously said sitting at West, and as 5750 pointed out with regard to the ones sent over in Feb. 2010, Academy delivered them to West, and West then sent out some to Westmont. 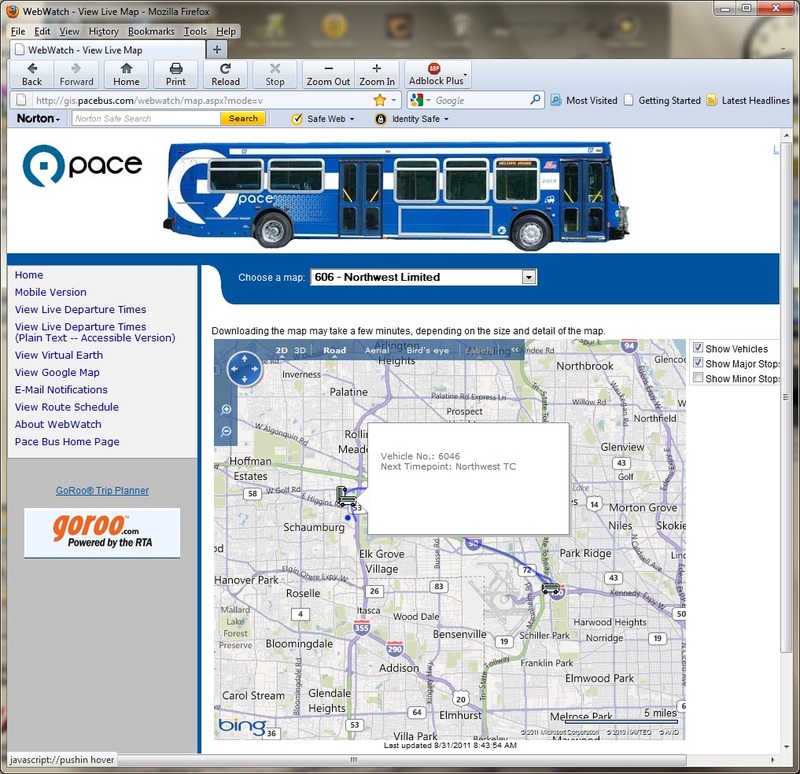 I surprised that Pace (North/ North Shore) got some Orion 1s still in service, I thought that they were long gone. Are those Former Academy (most)buses are at or about to be on their way to South Division for replacement of 1998-99 NABI's (2401s)? I really doubt that South could use more 35 footers. 6641 is currently@S.Holland and many of the buses formerly@Academy that are@West Div are scheduled for body work,then will be sent to their assigned garages. I have checked my roster which has been generated by reports on this site, webwatch and observations and have some differences. It has been reported on here that 2407 has gone. I have 2421 at North and 2451/2 at South and 2453 has also been withdrawn. 2635 has been reported at First Student (Naperville). 2694 and 2695 did show up at Naperville earlier this yaer on Webwatch. 2707 moved with 2703-6 to North Shore. 2742 I have at Heritage. 6040 is withdrawn and 6041-6046 have moved to Northwest. I have 6058 at West. 6061 is withdrawn. It was reported that 6218/9 moved from W to S last fall. 2707 moved with 2703-6 to North Shore. As far as I can tell, 2707 has shown up on WebWatch in Elgin (River) and is no longer at North Shore. 2703 was always (or for the longest time) at River. The North Shore ones now appear to be 2704-2706, most of which I have physically seen recently. To go back to the point I initially made in response to BusHunter, the highest of the 2650s I have physically seen in NS territory is 2659, which may collaborate his conclusion about 2660 up. It seems like there are more 6600s on routes that had 2650s (esp. 423). 6041-6046 have moved to Northwest. According to WebWatch, these seem to be back at West now. The rest of what busfan2847 says seems to jive with my recollection. #2664 is on the #673 currently and #2660 is also out there again at Naperville. As far as #6041 it was on the #318 on Friday and #6042 was on the #307. #6676 from South and #6642 formerly from Academy are now on the #213. #6641 is now also at North Shore (was on the apron in back) So chalk up 3 for NS. I changed my list to reflect the changes. 2297 is not running at North anymore, but may still be on the property, as there are a few Orions that are painted over and being readied to be hauled away. I think 2328 is still operational, but I could be wrong. It was operational as of when school let out this past Spring. 6611 is at North as well; It has been for at least a few months now. I don't think we ever had 2453 up here. Thanks for the info Railwaymodeler. I added #2334 yesterday myself after seeing it on one of the North routes. By the way, when you give ranges such as #XXXX - #XXXX, it appears that some of them are in ascending order, and others in descending order, which is slightly confusing, especially as I had just woke up and checked the forums when I saw this. Hadn't had my coffee yet! 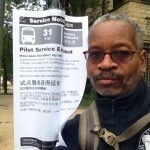 Just spotted this post now, I was thinking what were the retired buses myself? You saved me that trouble of looking it up. Thanks! Wasn't there a few NABI's from south that burned up or was wrecked? (thinking of a #6180's or 70's?) I think it was documented on here too. I added most of your changes that I cannot disprove. #2707 I did see in Elgin, right before I put up the list. #6044 - #6041 are definitely at West. They moved back from Northwest after the higher #6040's showed up. The rest of your changes sound correct. Wasn't there a few NABI's from south that burned up or was wrecked? (thinking of a #6180's or 70's?) I think it was documented on here too. Apparently 6046 wasn't sent back to West. #6632, formerly at Academy, is now at North. It's currently on the #572. Former Academy #6642 was on the 626 this morning. Yeah, I wonder where #6646 was headed the other day. 5750 stated it passed his fire station. I don't know if that's 16th/pulaski or the one around 42nd and ashland he speaks of. Seems like it would be headed to NS. It's either that or North and if there driving locally to North they may be talking an extreme joy ride/2 to 3 hour commute. Unless it was coming from bus and truck that someone says Pace uses around 33rd/pulaski. Then it would make better sense. BTW, saw #6641 at NS with it's bright new paint job. (still the same livery) I wonder why the academy buses had body damage. Were they not taking care of there equipment? ... I don't know if that's 16th/pulaski or the one around 42nd and ashland he speaks of. ... I wonder why the academy buses had body damage. Were they not taking care of there equipment? 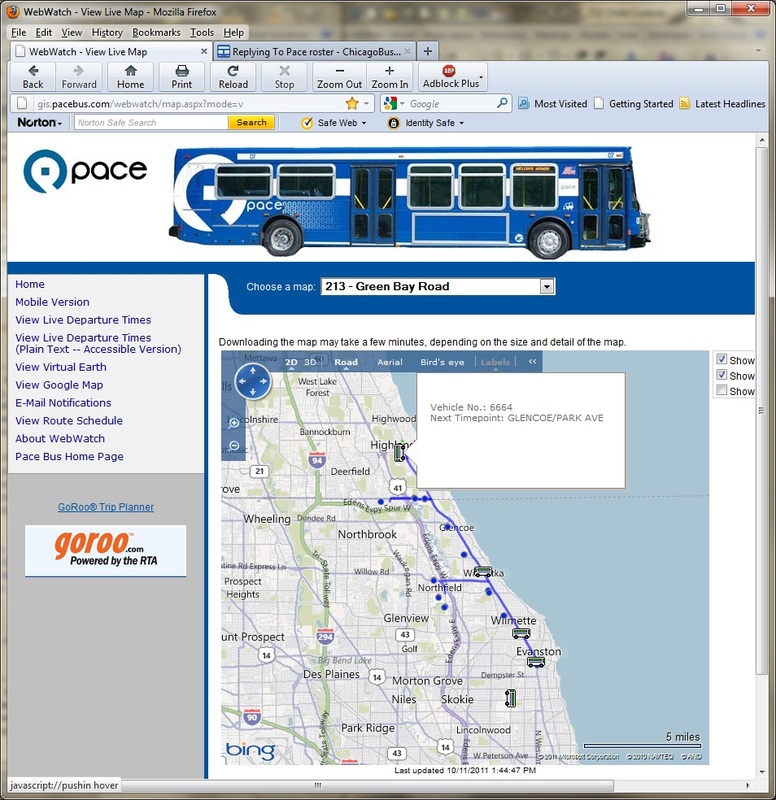 When you put it that way, at least the first is pretty close to Chicago Bus & Truck, which is about 33rd and Pulaski. Pace 834 said that they were getting body work. It might be a midlife rehab, but given that Academy was reported as not meeting its obligation to pay its drivers, and couldn't fill all its runs, its contractual obligation to maintain someone else's bus must not have been a high priority, one might think.